Hi, my name is Dave and I like to play the ukulele. I’ve been playing guitar off and on for years now (maybe around 10) and I bought a ukulele around three years ago. I started blogging about some of the things I’d learned and techniques that I’d picked on the ukulele but it started to take over my personal blog. That’s why I created this website. That’s me below, the menacing looking one. By day I’m a freelance digital designer working in and around Leeds, I even wrote a book about going freelance. I also help my wife run her decals and sticker business Paper Bloom. I should point out that I’m by no means an expert, but that doesn’t mean that I can’t help you. Anything I learn or that I think might be useful to you, I’ll post it here. 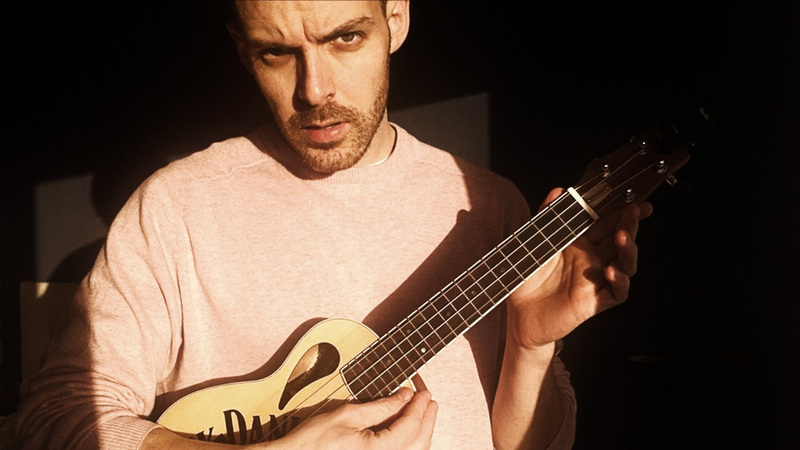 I really like figuring alternative songs out on the uke (basically anything that hasn’t been done to death) and recording tutorials/lessons (have a look at some lessons I’ve already made here) so I will try and do that as much as possible. If you have any requests or a product that you’d like me to review, or maybe just want to say hello then go for it! If you’ve found this site useful and would like to help support it, there are a couple of ways you can help. Ukulele Go is on Patreon which is a service that helps content creators get paid for the things they make. You can contribute from just $1/month and for that you get access to some exclusive content that doesn’t appear on this site. Also, it would be hugely appreciated by me! If you’re not a fan of the monthly payment thing, you could buying one of the ebooks listed over on my ukulele ebooks page. I’ve hand picked the books that appear on the page and the sales of these books help to keep this site running. If money is tight but you still want to help then you could tell your friends about this site, share it on Facebook, subscribe on Youtube – it all helps! 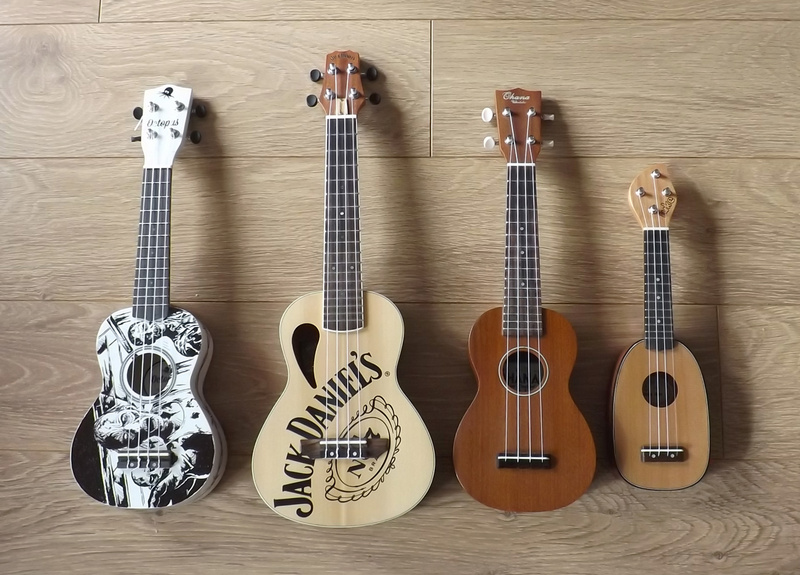 Currently I have 6 ukuleles – an Octopus Soprano, Peavey Jack Daniels Concert, iUke Sopranino, Bruko No 5, Outdoor Ukulele Tenor and an Ohana SK-25. You can click on the names to read the individual reviews and see what I think in more detail. None are particularly expensive and they’re all pretty playable. I like them all for their own reasons – at the moment I’m playing the Ohana quite a lot (you’ll probably notice from my videos). It’s pretty easy to get carried away with ukuleles, you find yourself buying more than you need. Whilst I’m pretty content at the moment I have got my eye on a Risa Stick or a Bugsgear Eleuke (cheaper, maybe not as good) at some point as I’d like to start recording a few bits straight into my mac. Great blog, Dave. Especially thank you for your thoughts about playing with tabs vs using your ears. Hi Dave, found your website after getting an ohana ck90 off my wife for christmas, not having the faintest idea how to play i stumbled on your site and finding it a great source of information, the good work you do is appreciated so thanks very much. Hi James, thanks for the comment – I’m really please that you’re finding the site useful. A CK90 is a great uke to be starting out on, good luck with it! You definitely know how to teach! Many thanks for making a 20mins schedule to practice. Thanks Holly, I hope it’s helping! Thanks for the fingerpicking techniques you shared. That was a great lesson for me! I am just learning chords and notes. I think I am hooked. I can recommend the Risa stick. It’s a great uke and extremely easy to play! I’ve been playing guitar since a young teen and get by with chords and some picking. Two years ago I received a ukulele. It’s from The Waikiki Ukulele Company (with a made in China sticker on the back… but it sounds good!). Thank you for your blog. I am learning the basics and want to be able to accompany myself singing Hawaiin songs and chants. Which book do you recommend? I am interested in picking as well as strumming. I really like acoustical guitar so my thought is something like it on the ukulele. Thank you!